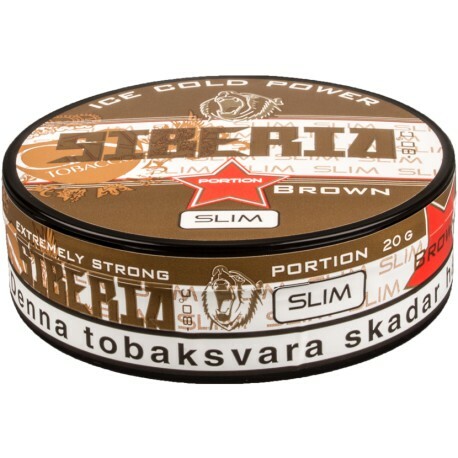 This is the brown, original slim portion version of Siberia -80°C, with a fresh spearmint flavor and an extremely high nicotine content of 43 mg/g! This is one of the strongest snus in the world! The moistened original portions provide a faster release of nicotine and flavor.